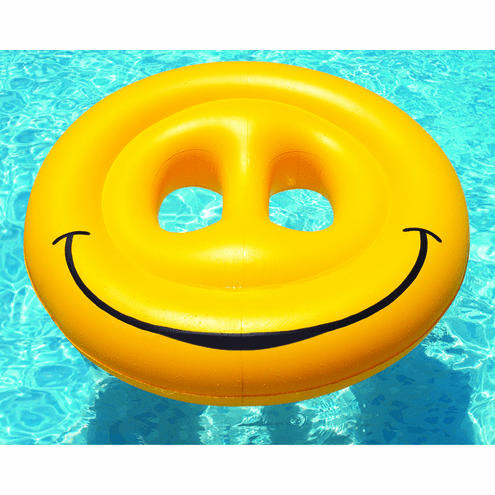 Home | Pool and Patio Accessories | Pool Toys, Games and Beach Balls | Swimline Smiley Face Island 72"
Home | Pool and Patio Accessories | Pool Toys Games Floats and Masks | Pool Toys, Games and Beach Balls | Swimline Smiley Face Island 72"
Home | Pool and Patio Accessories | Pool Toys Games Floats and Masks | Inflatable Pool Floats and Loungers | Swimline Smiley Face Island 72"
Hang out with a happy face! Fun for all to enjoy in the swimming pool, lake or river! 72" Inflatable Island. Heavy duty vinyl construction.